We are all One Soul, ultimately, which means we originate from the same energetic Source that is One Consciousness that is all of Creation. 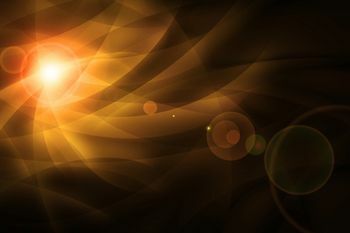 According to all the beings I connect with, this is the first recognition we must have in order to understand our origin. You can call this whatever you like; All That Is, God, Goddess, Supreme Being, The Creator, Creation, The Source, Life Force, Chi, The Field, Universal Consciousness, The Light. Behind all these names is what we all are, and behind each façade of separation is this Oneness. In order to truly know this Oneness, the individual awareness must be able to sense that they are an aspect of this Whole and that nothing is ultimately separate. Why then do we feel separate and have individual thoughts and experiences? Well, think about it. If you were the God Consciousness of the universe, wouldn’t you want to create experiences that allow you to grow and evolve? What else would there be to do; sit around and admire yourself? Well sure, but then you will likely want to create more to admire. Thus, the way to have experiences is to continually create them in new ways and see how these new ways grow and evolve. That is where the perception of our separation and our individuality comes into the picture. In order to have so many different experiences, the Source has to create many different things. In order to fully appreciate the scope and breadth of what these things experience, they must be allowed to evolve naturally in their own ways. For that to happen, there must be some kind of individuality and free will. Are you following? Whether the creation be a molecule, cell, on up to a plant or animal or beam of light, there is individual consciousness at play. And there is always an impetus to grow and expand within each being, no matter its level of awareness. As the awareness expands, so does the knowing of the consciousness and its relationship to the One. In other words, the being becomes increasingly aware of their Godliness and therefore become more and more like Gods, or the Creator. This is why it is so often said that we are already Supreme Beings, and are simply remembering who we are as we evolve. As we remember, we become more and more like the image we were created in the image of. What happens as you realize you are God, the Creator? You want to create more! It is the nature of who we are. No, don’t just take my word for it. Stop and imagine for a second that you just realized that you are the Creator. What happens in you? Don’t you want to practice your power to create? This is what is really meant by the statement, “We are created in the image of God”. And thus by creating, you are being God in action! The better you get at it, the more you are realizing yourself as the God that you are. This is a message these more aware beings will repeat often. That all said, we are each sparks of the Source Consciousness and are ever expanding, or not. It is entirely up to our free will as to how we will express our spark. And sparks are constantly being created throughout this universe and within other universes. With that, our individual sparks have a place and time of origin when we sprung into existence as part of the whole of Creation. Apparently, the means and nature of each spark coming into existence and evolving into awareness, is not the same. Otherwise, there would be no diversity and their certainly is. Our planet, is one example of the diversity that occurs in a given created environment and much of it came from other, perhaps more aware levels of Creation. If you just come to these realizations of Soul Origin, it is a big step in your soul’s evolution. It is really all you need. However, it is also profound to have expanding awareness of your spark’s specific origin of how you came into consciousness from the One. It is a fascinating journey of discovery, of self realization and of our unique spark of the Source expressing in a way that no other spark has expressed. This is what makes Creation so vast and impressive. It is each of us, and our unique origin and evolution, that makes God such a masterpiece and all powerful presence…..everywhere and in everything. In this site you will hear from many beings that were also created in the image of God as creators. You will also hear from the messengers and guardian aspects of Creator consciousness, the angels. They too are creators of their experience, but they have evolved to choose an existence in service to the creator arm of the Source. They are creating by inspiring creator beings to create. The same is said for the fairy and elemental life that urge and guide the life force of plants and animals. You may find an affinity with particular beings and your soul origin may be not planet Earth. As I have discovered through hundreds of personal sessions, guides are from all over this vast creative universe and from many stages of awareness, and so are our souls. Often, our soul inclinations and purpose for being here in this life is related to our soul’s origin and certainly to our path of development.